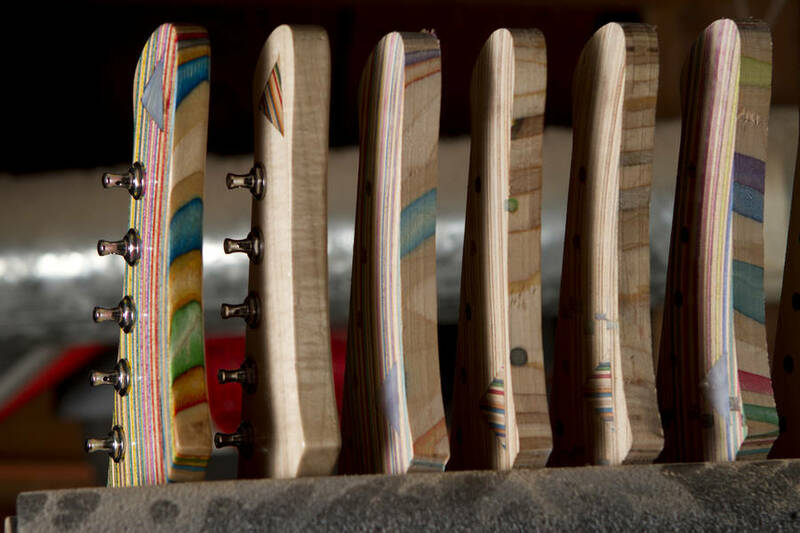 Nick Pourfard is a 20-year-old design student. 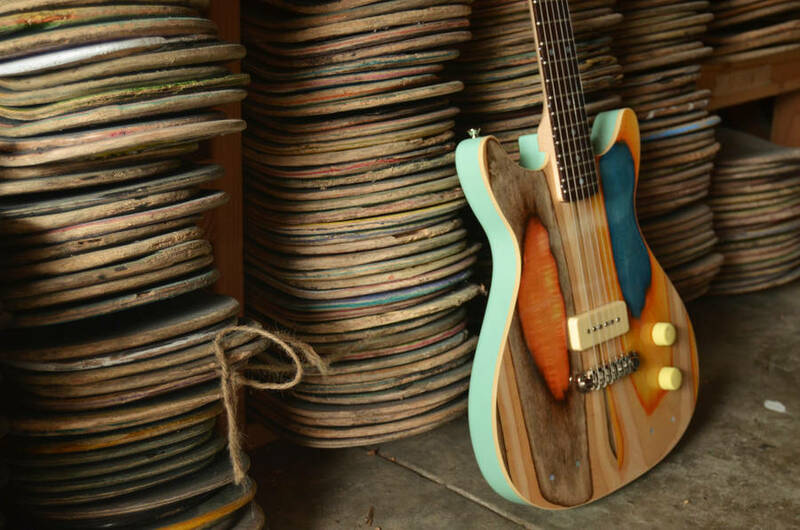 He recently created his own brand named Prisma Guitar, combining his two passions for music and skateboard. 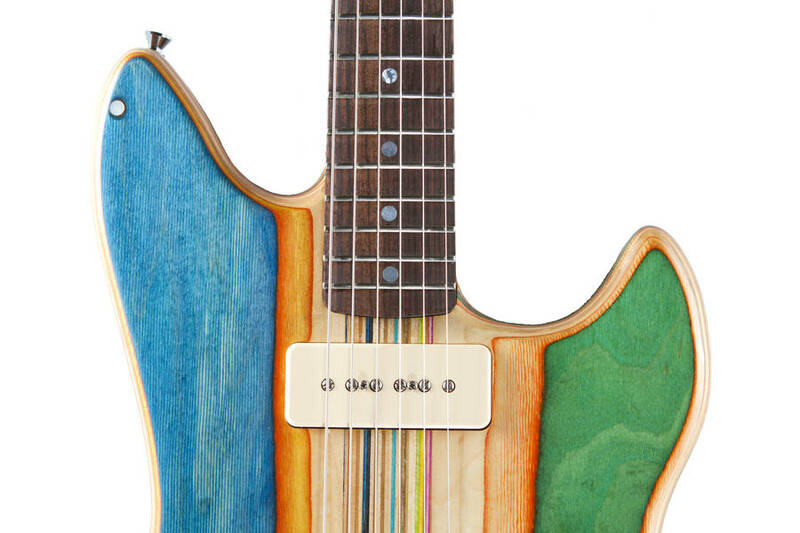 Also self-taught woodworker, he takes old skateboard decks to recycle and sculpt it to make colorful unique models of guitars. 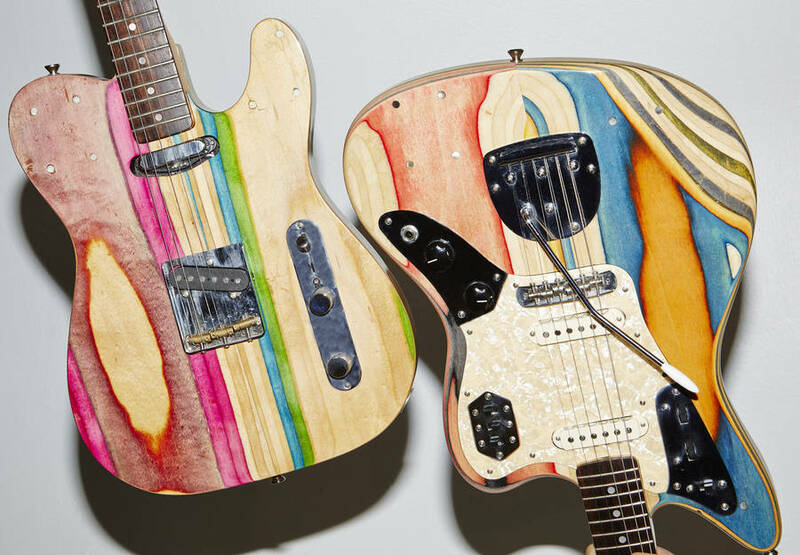 He applies the same technique to create accessories for musicians who want to get all their collection with the same design.